Recruiting Disrupted: What Is Your Online Score? If job candidates need to keep up with their online “score”, for a company looking for top talent, besides from always be recruiting, it’s no longer enough to scroll online resumes, social network presence and influence of potential candidates. To attract talent it must also dress up and become interesting: As Fred Wilson clearly points out: There’s a war for talent, especially developer talent. Would your company not be quite ready to go for an online game solution, like e.g. cosmetic brand L’Oreal with its virtual office Reveal, where job applicants go online to visit several workplaces to solve particular situations and problems, there are still other options. According to UNESCO, number of of tertiary students in the world has grown with 50% between 2000 and 2007, reaching approx 153 Million students in 2007. Much of this fast growth is due to changes in Asia. Interestingly, there are now more tertiary students in low- and middle-income countries. Targeting students addresses huge global market opportunity, thus many organizations and initiatives are aiming to engage students with help of competitions, challenges and networking opportunities. Swedish startup Student Competitions seized the opportunity in this growth, offering companies recruitment and innovation challenges targeted to students. It’s the world’s largest online platform for major global student competitions, hosting over 700 competitions and events for 35 000 subscribing students from all over the world. To its help Student Competitions has a network of over 300 student ambassadors in over 60 countries, spreading the word and engaging with students locally. Organizing a competition requires extra administrative efforts by the organizer, resulting many companies hesitating to use competitions as a channel for communications and recruitment. Student Competitions is lowering that barrier to entry with help of Quick Challenges, a short video pitching format service, that offers help both to create, host and facilitate competitions to source candidates, make an initial screening, and deliver matching global top talent. Besides from testing students on real-world problems, it’s a good employer branding tool to communicate company culture and values. Quick challenges, that can be both private and public, is also available as easy to embed and brand white label solution. Naturally, one doesn’t have to just target students, nor use it for recruiting purposes only. 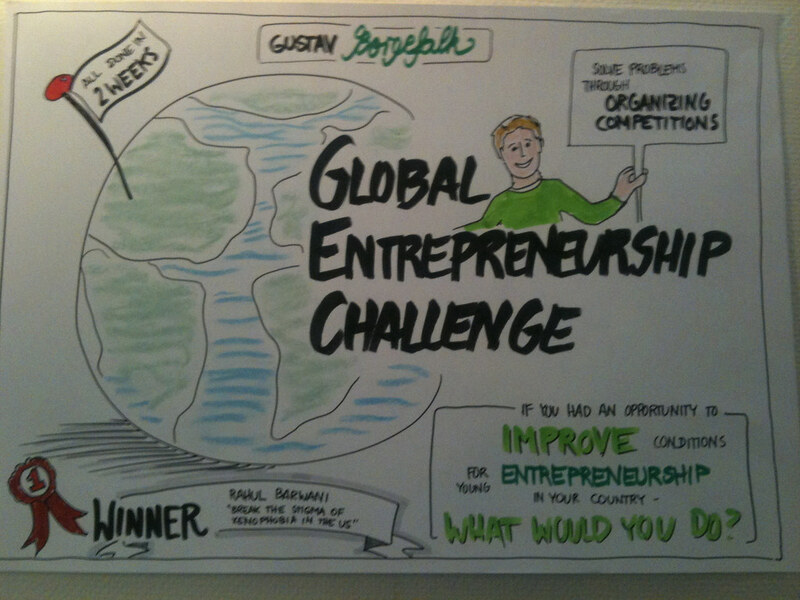 Lund University Master Your Idea Challenge 2010 is a great use case of Quick Challenge. The competition was organized to increase Lund University brand awareness with one year free scholarship as the first prize. 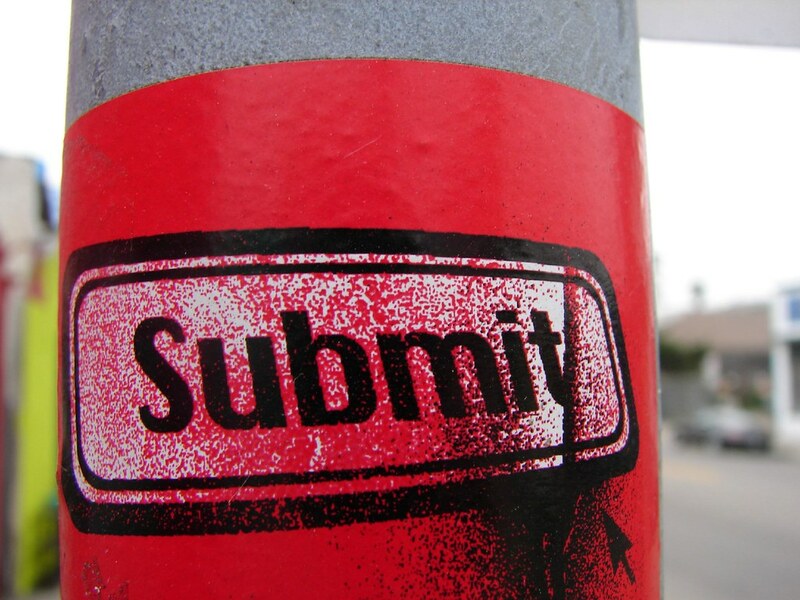 During the month of competition it received applications from over 30 countries across all continents. It’s first in line of actions taken by universities to attract international students to study in Sweden and positioning themselves as top institutions in their respective field. Due to a new law, beginning of fall 2011 all international student outside EU and EEA are to pay an annual fee of approx. SEK80K ($12.6K). With no system for scholarships in place, the drop of international students is estimated to be devastating 95% (19 300 in 2008). Offering a global platform that benefits and solves a problem for students comes with positive side effects, i.e. the power of meta data. With wide range of valuable data on preferences of the global students by both geography and nationality, Student Competitions can also offer targeted marketing communications and market research among students, especially in emerging markets. Note: This is where I see the service hitting the real gold mine. Student Competitions eats its own dog food to prove its business model. By attending competitions itself, it also stays close to its community. Representing Stockholm School of Entrepreneurship, Student Competitions recently won Venture Challenge™, International MBA Business Plan Competition 2011, one of the biggest business plan competitions in the US. As we all know, all great plans remain just great plans without great execution, timing and a twist of good luck. To keep its momentum and scale the initial traction, Student Competitions now needs an efficient online platform and communications strategy to drive its B2B sales. Considering the team lacks technical co-founder, as in-house UX competence, the two major weaknesses when building an online service, I see this as the next big challenge for the team. By all means a “Quick Challenge” I believe it’s ready to take on. Congrats guys, keep crushing and competing! 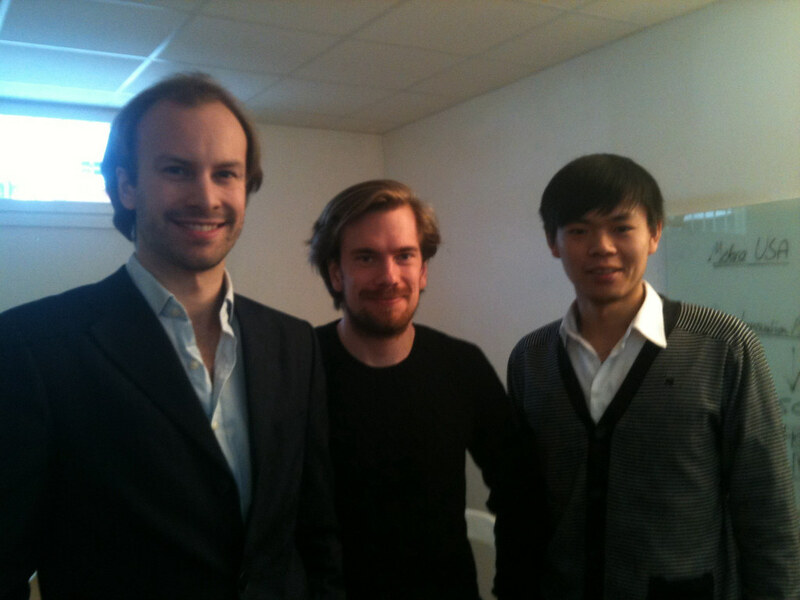 Co-founders Gustav Borgefalk, Robert Lyngman and Zhu Chu. Missing Niklas Jungegård. Ps 2. You can hear more about Student Competitions at Start up Day 2011. Excellent Post!! Your blog is very simple!! gretings from Germany! Thanks so much Ariel for kind words and reading, all the best from Sweden to Germany!